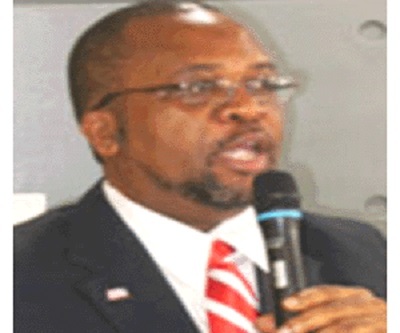 An official of the Liberian embassy in France says ambassador-designate C. William Allen will take up his assignment soon. In a letter to Nordic Africa News recently, Isaac C. Yeah, minister counselor for press and public affairs at the embassy, said no mysterious forces were preventing the ambassador from taking up the post, to which he was appointed in August last year. Mr. Yeah added that outgoing ambassador McKinley Thomas is now rounding up his work and that he ” is on his final leg of his taking of leave of governments and organizations he is assigned to.” He emphasized that Ambassador Thomas as Liberia’s ambassador to France also enjoys accreditation to Spain, Greece, Portugal, Switzerland, the United Nations Office in Geneva, Switzerland and UNESCO. “It takes a lot of time taking leave of all these countries plus the organizations. The dates to take leave of a given country is not in the purview of the Ambassador but the country or organization to which he is taking the leave. And as I am writing you this letter, Amb. Thomas has done all that about to depart for his new assignment in Beijing, China, ” he said. “Information that a certain Deputy Minister is trying to block Amb. Thomas departure is not true. Dr. Allen was appointed by the President, confirmed and his appointment has been send to the French authorities and accepted. So for someone to say his appointment didn’t meet the agreement of some higher ups at the Ministry is untrue,” Mr Yeah added.